Watching the reaction to James Comey’s book tour on competing cable news stations last week illustrated the current divisions in our country. Depending on what channel you happen to be watching, you might hear Comey described as a hero, a leaker, a consummate professional or a criminal worthy of investigation. Worse yet, if you have already made up your mind about Comey (or really any other hot-button topic or public figure), you can select the media that reinforces your beliefs. Though the presence of divisions in our society is nothing new, the rancor and drama that is so evident today poses unique challenges to those in the business of administering our government. Luckily, public administration has plenty of established tools that can help us meet these challenges. The first tool is the pillar of social equity, which Norman J. Johnson and James H. Svara describe as “the goal that the members of all social groups will have the same prospects for success and the same opportunity to be protected from the adversities of life.” The root of this idea is the social contract by which we all give up freedom and treasure to be part of a governed society. For a democratic society like the United States to work, all citizens must reasonably expect to share equitably in both the successes and failures of our nation. Though social equity is a perpetual work in progress, our field’s commitment to it as an ideal has both symbolic and practical value. Symbolically it broadcasts administrators’ day-to-day commitment to ensuring laws apply equally, and services are available equitably, to all citizens. From a practical standpoint, it informs policy development through tools like equity analyses, and the promotion of diversity within government agencies. The second and related tool is representative bureaucracy; a theory which broadly posits a government works best when it reflects the diversity of the people it serves. The processes that produce a diverse and representative government reflect the field’s commitment to equity. But what exactly is meant by diversity? Some types of diversity, like racial and gender, are well established and frequently studied in the Public Administration literature. 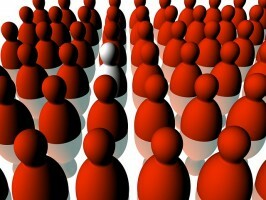 Other diversity types, including socio-economic, cultural and geographic are less often studied. More abstract concepts like diversity of thought and belief are even harder to measure but no less important. If a citizen believes their government does not reflect or even consider their viewpoint that government’s legitimacy is at risk. Don Kettl recently wrote that distrust of government is a natural outgrowth of the exercise of state power over citizens. A healthy distrust of government power is, in fact, a founding value of the United States that promotes accountability and transparency in government. Legitimacy, however, is a different animal. When citizens view their administrative institutions as illegitimate, the previously mentioned social contract is threatened. Being proactive about building a diverse government workforce, as well as expanding upon the meaning of diversity, is essential to combatting accusations of illegitimacy. The third tool is our field’s ongoing commitment to professionalism and ethics. The ASPA code of ethics provides a roadmap for ensuring public administrators are acting within their legal mandate, taking steps to minimize biases and creating an open and transparent governing environment. Managers are wise to post, use and discuss the ASPA code of ethics to engrain in it in their organizational cultures. Actively recruiting a divert cross-section of citizens to local boards and commissions. It can be frustrating to work in government at a time when phrases like “deep-state” are commonplace. But we must meet all citizens where they are at in their thinking, not where we want them to be. Legitimacy is a difficult thing to obtain, and once it is lost in the eyes of the governed (regardless of the reasons why), it is nearly impossible to get back. Though none of the tools and tips offered here are groundbreaking, they are actionable steps informed by the very foundations of the Public Administration field.